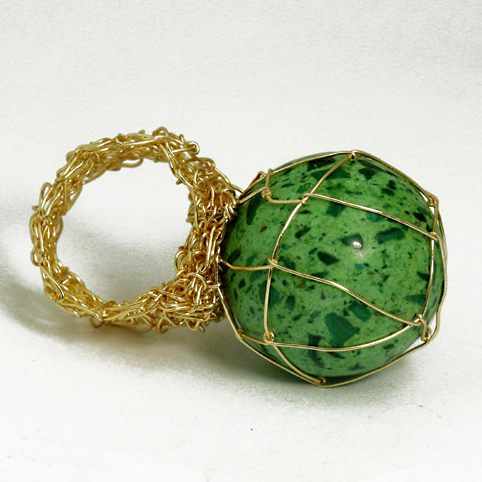 Materials : Gold Plated and Malachite. 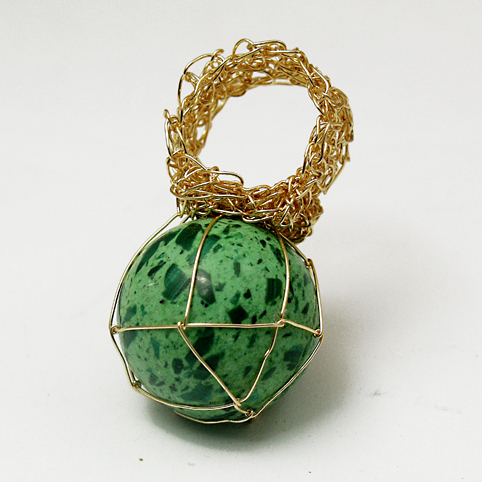 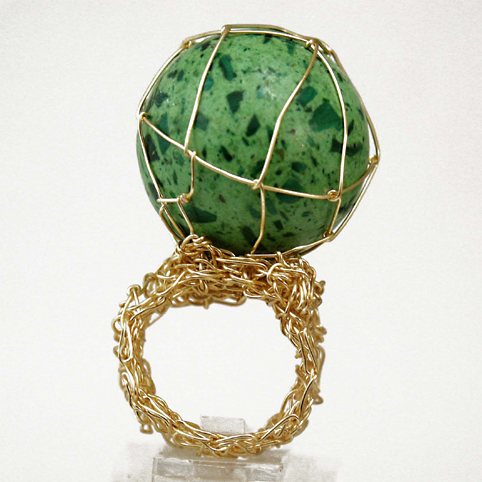 Beautiful boulle of natural malachite stone set with gold plated wire on a large crocheted ring. 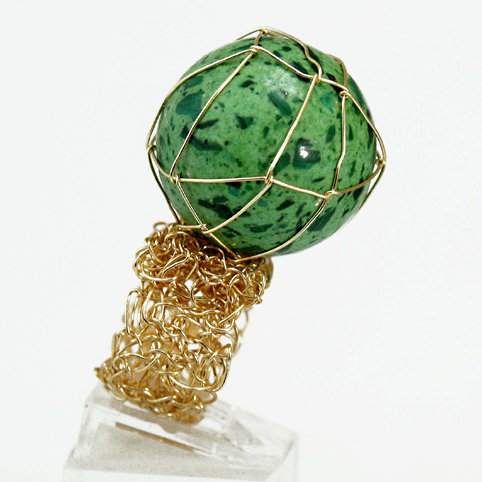 Unique size 52.